Welcome to another Travel Timehop where I share moments from memorable trips. Throughout 2016 I’m inviting fellow bloggers to tell me about their favourite adventures. This week it’s the turn of Georgina from A Little Lipstick – one of my PR buddies who also moonlights in the world of blogging. She’s sharing a memory from a recent trip. It was only after she returned that we both realised we had been in the same place at the same time. However, Georgina had the pleasure of a lot more time to enjoy gorgeous city and has made me feel quite green with this story from her travels. Enjoy! I remember when I booked our holiday to Italy earlier this year, my partner Adam was evidently apprehensive about what we were going to do in Florence. If I am honest I didn’t really know either, but how could we go wrong in a boutique style city that is supposedly one of the most romantic in the world. From the moment we arrived, the streets were bustling and we were made to feel so welcome by everybody we met. 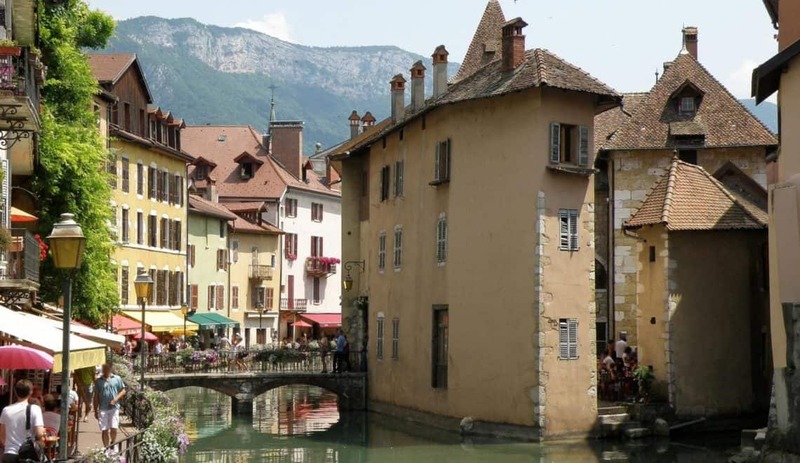 Every street had something different to offer with spectacular architecture and authentic restaurants. It seemed that whilst Florence has opened its arms to modern day life with designer stores, it is still steeped in history. You get the best of both words and it works. One evening we walked over to the river Arno and in the distance I could see streams of people walking up towards the Piazzale Michelangelo. We had already walked hundreds of steps tackling the Duomo and the bell tower the previous day, but this had something special to offer. Once we had reached the top of the hill, I realised just how magical Florence really is. I could tell that even Adam was surprised at how much he had enjoyed his time in the city. I love this photo because it captures everything I felt whilst I was there. 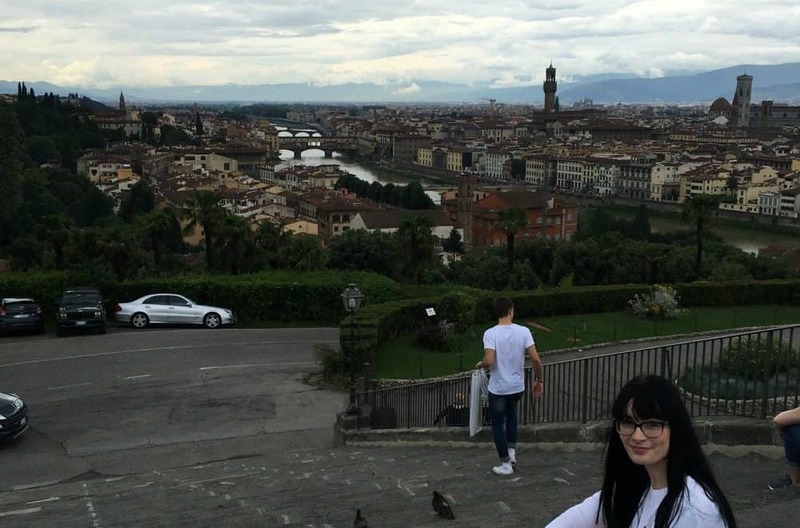 The accomplishment of climbing up to the Piazzale Michelangelo, the iconic Ponte Vecchio bridge and the breathtaking view of the city. I even got to design and eat my own ice cream at the Magnum bar. It just doesn’t get much better than that. I can’t argue with that! Thanks Georgina for taking part in Travel Timehop. If you’d like to read more from her, including plenty of beauty and hair product tips, hop over to her blog, or follow her on Twitter and Instagram.